Dr. Jennifer Park-Cruz completed both her undergraduate degree in Biology and Doctor of Dental Surgery (D.D.S.) from the University of Southern California with honors. 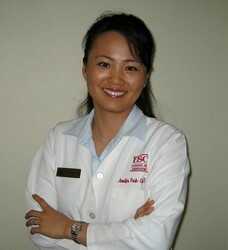 While at the USC School of Dentistry, Dr. Park received several awards and recognitions including: the American Academy of Esthetic Dentisty; the International College of Dentists; the Charles Pincus Memorial Award in Esthetic Dentistry; the Julio Endelman Memorial Award; the Century Club; and the USC School of Dentistry Part-Time Faculty Award. 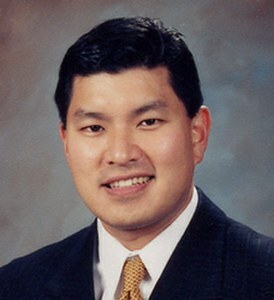 Dr. Park graduated in 2003 and taught at the USC School of Dentistry following graduation. Dr. Park is married to her college sweetheart, Brian, a government contracts attorney. Together they reside in Irvine with their 3 young boys, Conner, Dylan and Ethan. Outside the office, Dr. Park enjoys spending quality family time such as bike riding, swimming and traveling. She also enjoys gardening and cooking a delicious and nutritious meal for her family. Dr. Park is a member of the American Dental Association, the California Dental Association, the Los Angeles Dental Society, and the Korean American Dental Association. Pasadena, CA Periodontist, Dr. Cho is a graduate of the University Of Southern California School (USC) of Dentistry for both his dental education and periodontics specialty. He is also a clinical associate professor at the USC Department of Advanced Periodontics.